For those of you who've read my first Indigo Bay sweet romance, Sweet Entanglement, you my remember the Epilogue was set at the wedding of the heroine Lauren's mother and the hero Jesse's father. 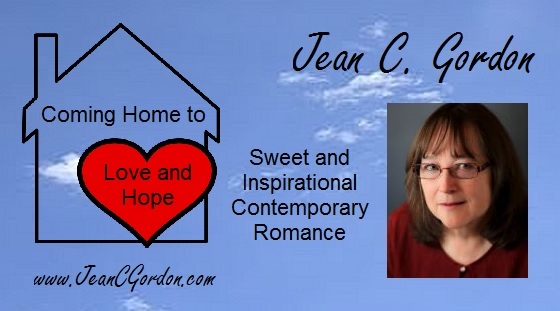 I'm getting ready to start a new Indigo Bay romance that will be part of a 2019 second chance at love series. (1) Already knowing from Sweet Entanglement that Sonja and Jeff, the parents, will get married, would you still want t read their love story? 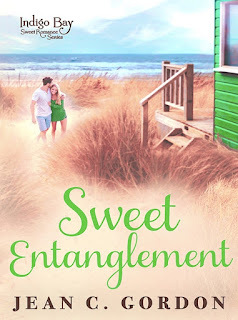 It would pick up at the end of the main story in Sweet Entanglement, with backstory woven in for readers who haven't read it first. (2) Are you good with a 49-year-old heroine and a 46-year-old hero? Let me know in the comments. I'll randomly choose one reader to win a copy of the Sweet Romance Reads authors Sweet Christmas Kisses 5 bundle of 9 sweet romance novellas. Your choice of Kindle, Nook, Kobo, or iBooks copy. Lauren Cooper is on her way to her life’s dream. She’s financed and finished college and law school all on her own. And she’s up for partner at the largest law firm in Indigo Bay. There’s nothing to stop her from concentrating everything on achieving that goal. Until Jesse Brewster, the man who broke her heart twice, shows up sleeping off the night before on the beach, and she’s called in to serve as his public defender. Looking to make a new start after the racing accident that ended his lucrative motocross career and sent him spiraling into darkness, the former champion had envisioned an entirely different scenario if he ever saw Lauren again. That vision was more along the lines of the successful businessman he’d be once he rehabbed the seaside mansion he’s inherited from his uncle and sold it to open a custom bike shop. Sparks fly between them, and Jesse vows to fan those sparks once he’s got the project successfully underway. But someone starts sabotaging it, putting Jesse behind on the deadline he has to meet to get the property off the Indigo Bay Planning Board’s condemned property list. And Lauren has a sick suspicion that her bosses are somehow involved. Jesse and Lauren had once promised they’d wait for each other while they pursued their career dreams. Despite that broken promise, neither can deny the love that’s still between them. But now that they are on the cusp of reaching those dreams, are they willing to risk everything to renew that love? Team Macachek: Fall in love with the strong women and fearless men of the motocross circuit. I love to read about older heroes and heroines, Jean. Sounds great to me! Jean, I adore reading about "later in life" romances. I hope you get lots of good feedback as you plan your next book! Yes, I would. Sounds good to me. Thanks, Josie, Magdalena, and Julia. Josie and Magdalena -- My critique group thought that the bigger "problem" might be people who read SWEET ENTANGLEMENT and, thus, already know the outcome of Sonja and Jeff's romance. They thought I might get complaints about that. I love older characters. They've experienced more so they're more complicated, more interesting. I'd love to read their story. The age is fine with me. A 49 year old heroine and 46 year old hero sounds exciting. I like that he's a little bit younger than her. I'll be back in the morning to thank everyone and announce the randomly chosen winner. I the winner already has SWEET CHRISTMAS KISSES 5, I'll offer another of my books. I think that love is possible for all ages and I would imagine that a second chance at love would be very special. The age is fine with me. Their love story after marriage might get stronger the longer the story goes so it fine with me too.. It sounds like a great story, with the requisite HEA. Romance is not just for the young! Hard work with max rewards at any age! 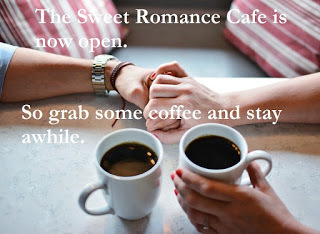 And the winner of a copy of SWEET ROMANCE KISSES 5 is Debra Brigden, who commented in the Cafe. Thanks to everyone who helped.